As modern communications and transport systems bring the world closer together, language remains the means by which we interact and build understanding of other peoples, cultures and the principal way in which we may learn from each other. There is a famous story, told around the time of the Spanish Empire and its expansion west to present-day Latin America, about how Spanish grammar came into being. So the story goes, a Bishop approached Queen Isabella of Spain, and offered to her a “book of Spanish Grammar Rules”, a work the Spanish intellectual elite had been working on for some while. The Queen, puzzled, asked the Bishop: “Of what use is this to me?”, to which the Bishop replied, “But your Majesty, language is a perfect instrument of empire”. And with the ‘royal adoption’ of this document, Spanish was the first ‘modern’ language to have grammar rules set out for its use; other languages followed suit. Different languages have, at varying times, enjoyed varying levels of importance and kudos. About two thousand years ago, Latin and Greek—roots of which continue to be present today underneath our modern English etymology—were the ‘lingua franca’ of their period. Today, English has emerged as the lingua-franca of the period, in part due to historical factors, such as the expansion in the 15th and 16th centuries of the British Empire and the present-day influence of American culture. English has succeeded as a language for another very important reason: its enormous flexibility and dynamism. As the language is bequeathed from a mixture of Romantic (Latin) and Germanic languages, and these have endowed English with a most flexible etymology, which lends itself well to the present age. There are currently more words in English than any other language. Just as the British colonized many countries around the world during the height of their empire, so the Spanish did the same, particularly between the 13th and 17th centuries, leaving the Spanish language firmly planted in each territory. 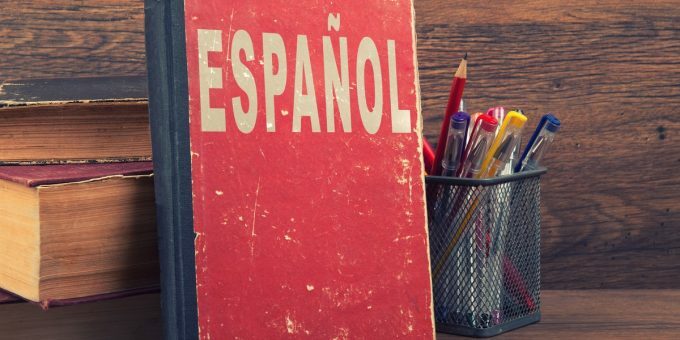 Today, Spanish is one of the most widely-spoken languages in the world. 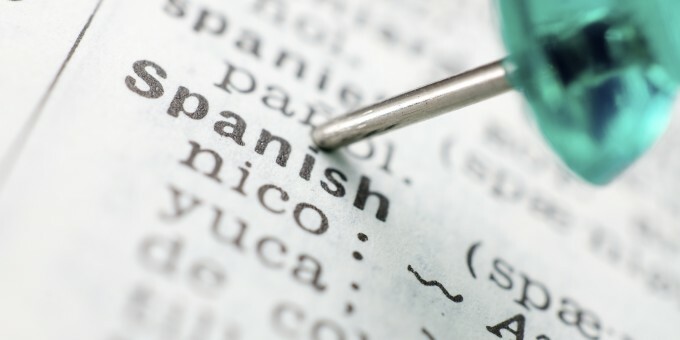 Spanish is one of the European Union’s official languages (being spoken in Spain), it is one of the United Nation’s six official languages, and is predominant throughout Latin America (except Brazil, although Mercosur, of which Brazil is a part, uses Spanish as its official language). Over 51 million people in the United States today speak Spanish, comprised of 45 million Hispanics and some 6 million students of the Spanish language. * This makes the U.S. host to the largest Spanish-speaking community in the world, outside of Mexico. More people in the U.S. speak Spanish than those speaking Chinese, French and Italian combined. Nearly one in every seven people living in the U.S. speak Spanish, and it’s predicted that by 2050, nearly 100 million people in the United States alone–one in three–will speak Spanish. Today, many people who learned English as their first language are beginning to appreciate the importance of learning a second (or third) language. Americans are leading the way with large numbers of mono and bi-lingual Americans (particularly of ‘baby boomer’ age) now beginning to learn second and third languages in earnest. 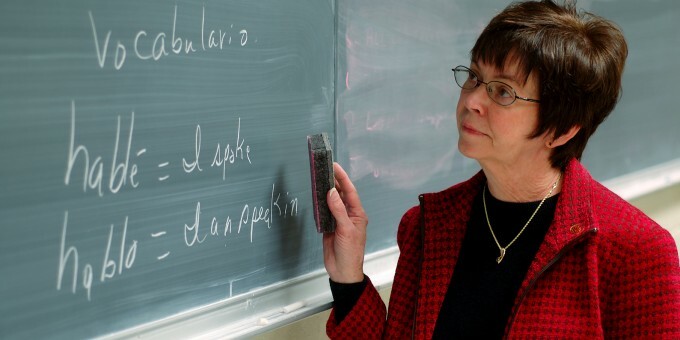 For mono-lingual Americans, Spanish is at the top of the ‘second language wish list’. Learning a second or third language is an investment in yourself. There is no better way to grow your skills and capabilities than by investing energy in a talent that will enable you to communicate earnestly with more human beings! Many people for whom English is not a native language, and who want to grow personally and professionally, are going to great lengths and expense to learn English. If your native tongue is English, an investment in learning someone’s else’s native language is a sign of reverence and will be sincerely appreciated when you travel or meet and talk with others whose native tongue you have learned. As more and more people are speaking Spanish in the USA—and world wide—being able to communicate in Spanish will give you access to culture and people in ways that are not possible through third party translation. Building a better understanding of others always leads to better relationships and language is the enabling tool which facilitates better understanding of others. It will also help you to expand and improve your use of English as knowing two or more languages develops your overall ability to better articulate your thoughts, ideas and emotions with others. You’ll enjoy your travels in countries where Spanish is spoken more when you can speak the language. As we pointed out in the introduction page, it is perfectly possible to get by on vacation in Mexico without speaking a word of Spanish, but having the ability to communicate with your Mexican hosts, share stories and articulate your observations and ideas in Spanish will introduce a new dimension to your travel experience. If you are visiting Mexico for business, live and work in Mexico, or to retire in Mexico, being able to understand and communicate in Spanish is essential if you are going to get the best from your plans and experiences. Also, being able to communicate in Spanish will deliver higher productivity: you will get more done, you will be well regarded by those you are counting upon to help you, and you will avoid the need to have everything you want said or written translated by a third party, which is time-consuming and more expensive. Communicating in Spanish will help you to build better trade links and relationships between your company and Mexican suppliers, clients, contractors or others upon whom your business success depends. Better communication leads to better business deals and speaking the local language will give you a definitive negotiating edge. Your employment opportunities widen and you become a ‘more valuable’ employee if you are able to speak other languages— especially Spanish if you are employed (or seeking employment) in the United States, Central or South America or the Caribbean. Some companies in the USA are now insisting that certain managers and senior post-holders (or people aspiring for promotion) are able to communicate well in Spanish; particularly so in markets where serving Hispanic customer’s needs is a core (or growing) function of the business. English is a difficult language to learn. Spanish is a phonetic language; what you see written is what you say, remembering that the “h” is always silent, and that vowels are always pronounced the same, regardless of where they appear. This makes Spanish an easy language to get acquainted with. Basic grammar is easy, advanced grammar takes some time to get to grips with but, overall, it’s much easier for a native English speaker to learn Spanish than it is for a native Spanish speaker to learn English. Online Spanish language courses offer sound and visual features that help you to get the pronunciation and emphasis right and link words and sentences with objects and situations. Spanish language courses in Mexico will immerse you in the language and are one of the best ways to learn and significantly improve your Spanish language capabilities; they are an excellent way of mixing learning with pleasure in Mexico. 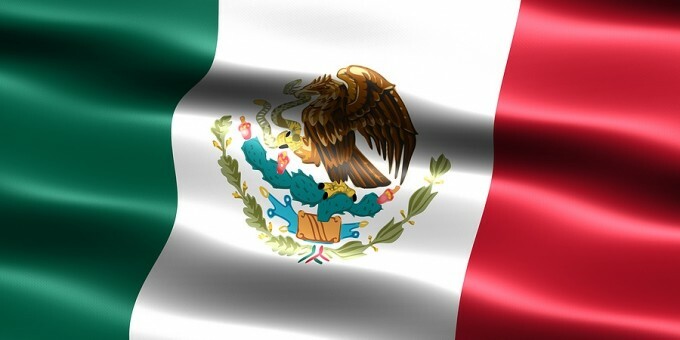 Mexican Spanish is the most polite, clear and easy to understand of Latin American Spanish dialects.